As a chiropractor in Tulsa, I see patients present with tight shoulder muscles on a daily basis. This tension is compounded by a sedentary lifestyle sitting in front of a computer. The head forward posture that is often employed during a hard day at work in front of the computer puts excess strain on the muscles in the back of the neck. Normally, our heads should be directly above our shoulders. Too often, while at work, our head will translate forward to look at the computer monitor. This is a lot like holding a bowling ball out in front of you – it gets heavier to hold. The result is extra strain on the muscles in the back of the neck – causing them to act like “guide-wires”. Over time, these strained muscles will harden and become tense. A chiropractor will often use plenty of muscle work during the adjustment session to begin to reduce/reverse the muscle adhesions and splinting. A chiropractic adjustment will also improve tissue flexibility in the area and ensure that the spinal mechanics are not being restricted by the tight muscles. This type of pain scenario can also be associated with injuries where the muscles are splinting like auto accident injuries, whiplash and sports injuries. Those with tight shoulder muscles should also be on the look-out for symptoms of arm tingling, etc. that can be linked to an entrapment of nerve tissue in the shoulder and neck area due to excessive neck/shoulder muscle tension. 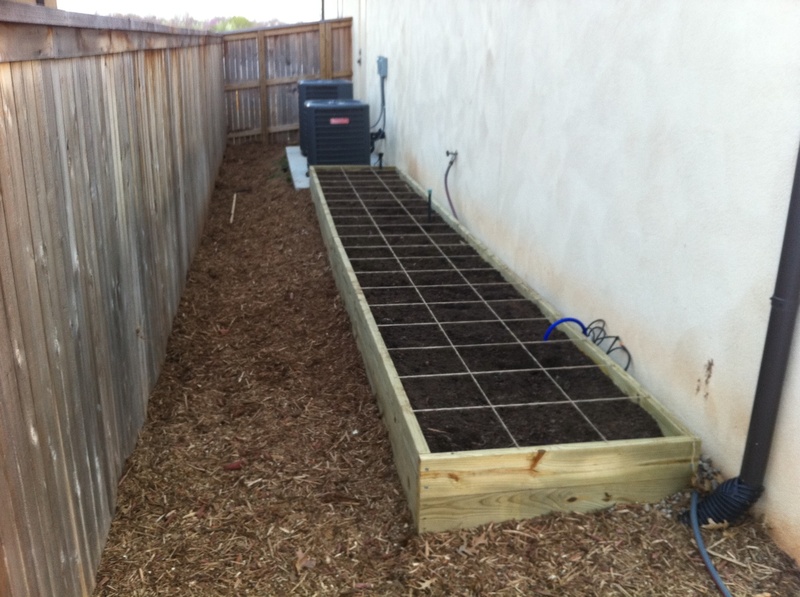 Recently I was inspired by others who have studied square foot gardening to give it a try myself. We didn’t seem to have much success with gardening while I was growing up – partially because our work duties on the farm rarely made it to the garden area as we focused on the large field crops. Usually, about half way through the summer when the weeds had overtaken the garden, my dad would hook up the shredder to his tractor and drive over the garden a few times to completely mow it down. No more weeds, no more garden. Good idea, but not enough time delegated to it. Frankly, it wasn’t my favorite thing – pulling weeds. There were so many. I know that sounds lazy, but trust me, there were tons of them. The beautiful thing about square foot gardening is that you plant the garden in an elevated planter. This reduces weeds, insects, animals, etc. from being as big of a problem. Additionally, if you do it right, you can easily access the garden right in front of you without the excessive bending that is not as easy to do and hard on the back – I am a chiropractor – we think of these things. One of the things that attracted me to this style of gardening besides being easier to reach, less bugs, less problems is the very organized layout. It lends towards maximized efficiency. Each square foot garden is marked off with either twine (as in mine pictured above) or with wooden slats. There is a book that can be purchased that has great recommendations on types of vegies to plant and how many per square. We’ll see how this summer goes. My daughters have all wanted to pitch in and manage their own ‘squares’. I am hoping that they will see the fruit of their labors and learn something from it as well. You can take the boy out of the farm, but you can’t take the farm out of the boy. I’ll try to keep things posted here occasionally.